When it comes to social media, there are few sure bets. One thing’s certain, however: people go nuts for new stuff. Show someone the latest gizmo, doodad, or whatchamacallit dubbed the “Next Big Thing,” and it will be very difficult for him or her to resist the urge to jump aboard. There’s something a little crazy, however, about this lust for what’s new. In our rush to be among the first to try the next Twitter, the next Facebook, the next LinkedIn, or something so new that it has no antecedent, we forget that we rarely have the time to make effective use of the good stuff already available to us. Even though we know joining yet another social network will spread us even more thin, we can’t help but think we’ll miss out if we don’t sign up right away. 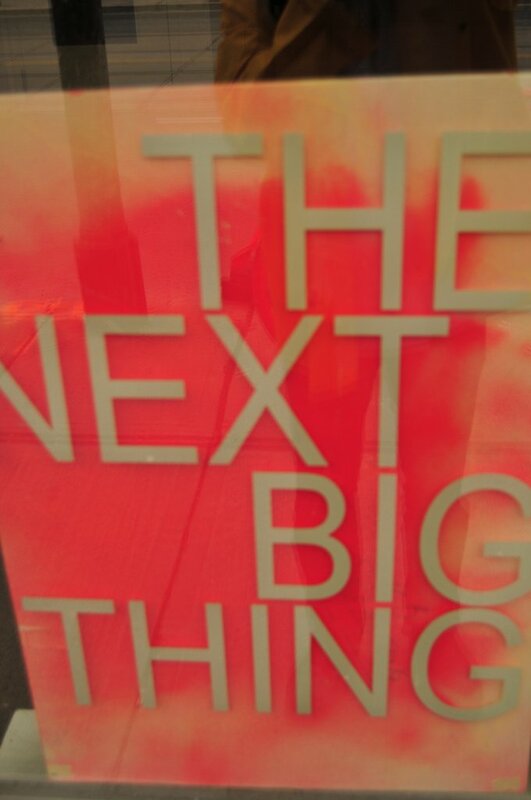 Why can’t we resist the allure of the Next Big Thing? Well, there’s a lot of hype in social media land, and a lot of value placed on thought leadership. Also, since social media is still maturing, we’re still looking for something better; an option that solves a problem for us or that provides a better quality of entertainment. As, a result, we end up becoming Guinea pigs for every new social media site that comes our way, testing, trying, and hoping we’ve finally succeeded in our quest to be an early adopter of something that matters. The sad truth is, of course, most the new stuff we sign up for doesn’t matter. It doesn’t fix our old problems and it doesn’t make us any happier, more fulfilled, or smarter. All we end up with is less time for the things we say would make us happier, more fulfilled, or smarter if only we had time for them. In addition, we quickly learn that there’s no prize for being first. We just end up wasting time on sparsely populated networks, waiting for others to migrate away from the Same Old Stuff we thought we’d left behind on the road to thought leadership. Now, I have to concede that late adoption of the Next Big Thing may come with some risks if you make your living in social media strategy. Not joining the Next Big Thing may be seen an error of omission, a sign that you’re out of touch. Few of us, however, are full-time social media strategists. We’re financial planners, attorneys, consultants, fundraisers, and marketers in a world where social media is only one piece of the marketing puzzle. That means the true risk is neglecting our core competency, or not making optimal use of tools we’re already using in favor of the Next Big Thing. Does this mean we should never pay attention what’s new? Of course not. There are times when a new tool comes along that really does offer something new for a demographic not currently being served adequately by social media, or media in general. Because social media is still maturing, there’s still room for gaps to be closed and for applications that truly are innovative. It’s important to remember, though, that these are rare exceptions. When confronted with the chance to join yet another social network, then, ask yourself whether it gives you the chance to do something new and different. If not, it might be better to let others be Guinea pigs and only jump in after something new has proven to be deserving of your attention. Is there really any downside to waiting it out? Isn’t it true that you could still make very good use of Facebook, Twitter, and LinkedIn even if you joined tomorrow and not years ago? The problem is, it can be very hard to separate the hype from a true imperative to act. In our sound bite society, we can easily be misled by a punchy headline or pretty infographic. BranchOut: Hot New Thing or Waste of Time? 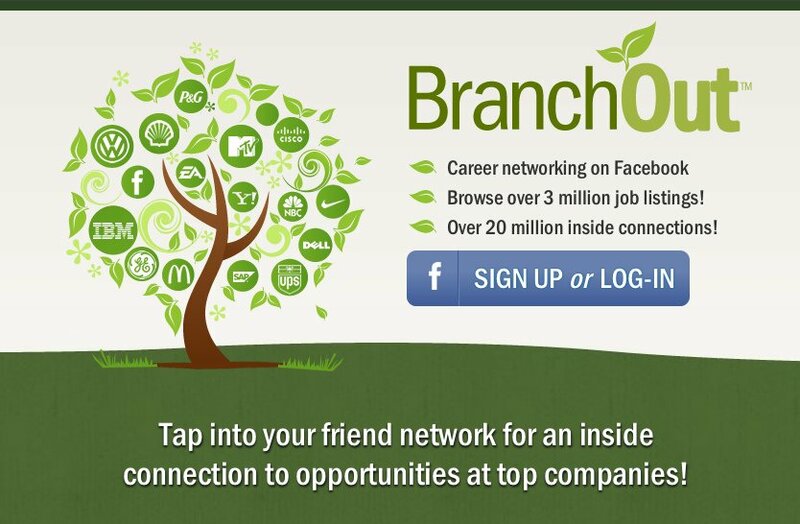 I ran into this earlier this year when I was researching BranchOut, the professional networking app on Facebook. One representative headline was this, from none other than the Wall Street Journal: “LinkedIn Competitor Branches Out to 300 Million Users.” Reading this headline, you would be forgiven if you were to assume that BranchOut has 300 million members. Armed with the knowledge that LinkedIn has a reported 150 million members, you also would be forgiven if you were to believe that BranchOut might be worthy of your immediate attention, even at the expense of time spent on LinkedIn. Well, headlines only tell part of the story. At the time the WSJ piece was published, BranchOut had a mere 10 million members*. Why the headline, then? As the piece goes on to say, BranchOut claims that because it’s built on the back of Facebook, it “reaches” 300 million users. Even if you look past the fact that this claim is made by BranchOut itself and not an unbiased observer, you’ll quickly understand that BranchOut has a long way to go to be in the same league as LinkedIn. So, the next time someone Tweets out a headline as evidence that you should jump into the Next Big Thing, dig a little deeper. Be sure it’s not just more hype by a well-meaning would-be social media thought leader. Ask yourself whether it’s imperative that you sign up now, or whether it would be better to wait. You might discover that the “Next Big Thing” is investing more time in the Same Old Stuff that has already proven its worth. *BranchOut has since reported that its membership is now 25 million members strong. That’s impressive for sure, but still not as impressive as 300 million or even 150 million members.